Audio-Technica presented the European debut of its new 3000 and 5000 Series frequency-agile true diversity UHF wireless systems at the ISE Show. The new 3000 Series systems, with their 60 MHz tuning range, are available in four frequency bands – DE2 (470–530 MHz), EE1 (530–590 MHz), EF1 (590–650 MHz) and FG1 (650–700 MHz). The systems, which are available spring/summer 2018, let users set a backup frequency that can be quickly swapped by pressing the transmitter’s multifunction button in the event of unexpected interference. The third generation of the company’s 5000 Series wireless systems are designed for use on professional tours, in stadiums, concert halls, festivals, houses of worship and other demanding audio environments. The receiver has been updated with a tuning bandwidth of 230 MHz: 470–700 MHz and users now have the option of selecting a standard receiver with two balanced XLR outputs (ATW-R5220) or a receiver that also includes a Dante output (ATW-R5220DAN). Other new features include an antenna cascade output that connects up to eight receivers so a single pair of antennas can feed up to 16 channels of wireless, and a backup frequency that can be quickly swapped by pressing the transmitter’s multifunction button in the event of unexpected interference. The updated 5000 Series systems will be available mid-2018. The 3000 Series Frequency-Agile True Diversity UHF Wireless System from Audio-Technica was one of the winning products in Newbay’s Best Of Show Awards at ISE 2018. 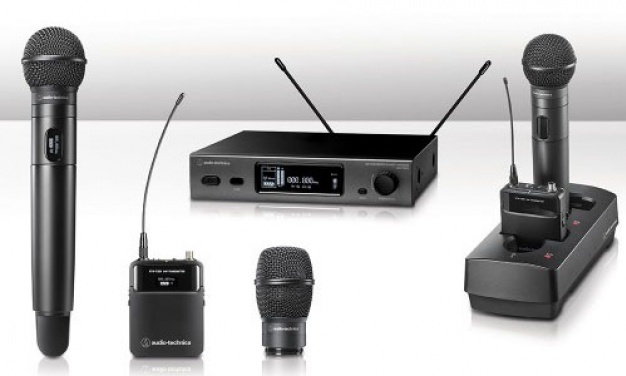 Audio-Technica’s new 3000 Series wireless system is the next generation of the company’s frequency-agile true diversity UHF offering, designed for live sound in theatres, installed sound and music applications. Please contact us or your nearest Audio-Technica dealer for more information on Audio-Technica products. The LB 20 series is the latest member of the Bosch family of compact loud-speakers for installed applications. Every aspect of the LB 20 series has been designed from the ground up to ensure efficient installation for the contractor and excellent results for the end-user. The series includes 4-inch, 5.25-inch, and 8-inch 2-way models with a matching dual-10-inch subwoofer, making it easy to select a suitable model a specific space – a new go-to solution for distributed sound systems. 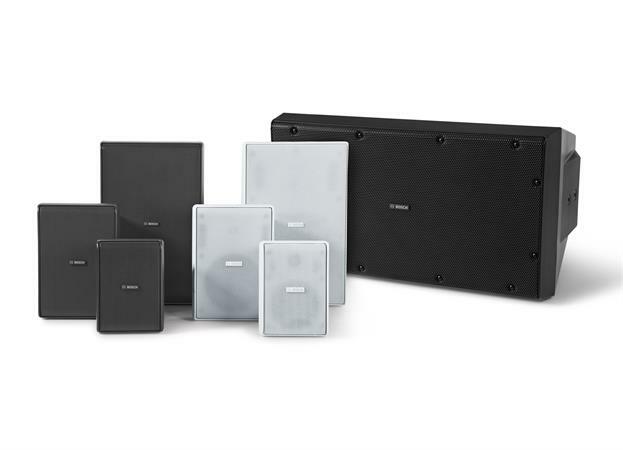 All LB 20 models offer Bosch-engineered components for superior sound quality, low- profile looks and robust reliability for a wide range of indoor and outdoor applications. These include retail environments, hospitality settings, such as bars, lounges, patios, pool areas and restaurants. Conference and meeting rooms, fitness clubs, performing arts and sports venues and houses of worship. The series offers true weatherproof construction for outdoor spac-es, confirmed by extensive and rigorous testing above and beyond industry norms. All models are paintable, and IP54 certified for weather resistance; an IP65 weatherproof version is available for the 5.25-inch loudspeaker cabinet and the subwoofer models. The innovative, new wall-mount system makes installation literally “as easy as 1-2-3” – quicker and easier than ever before: Attach the wall-mount (a built-in bubble level saves time) and terminate the cables inside, apply the paint cover to protect the wall- mount until construction is completed (when the cover can be removed), and then simply slide the pre-wired speaker with adjustable arm onto the wall-mount and lock into place. 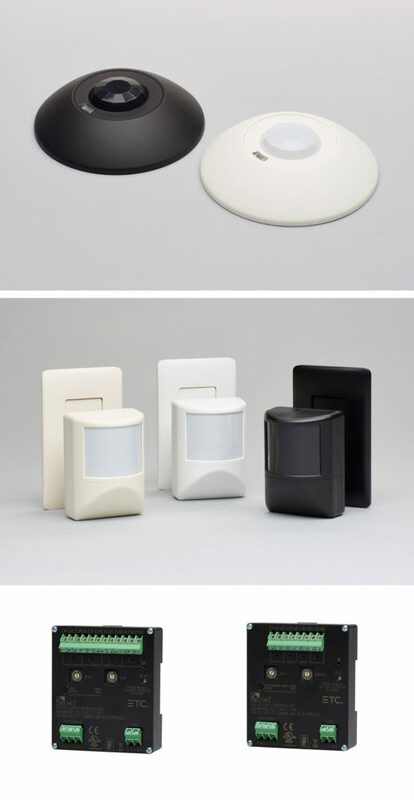 Kindly visit: https://www.boschsecurity.com/corporate/press-releases/press- release/invented-news-lb20.html for more information about the LB 20 Series. Please contact us for more information on Bosch products. PLASA Show returns to Olympia London later this month and visitors to the ETC stand ­­– J30 – are in for a treat. PLASA Show 2017 will mark the global tradeshow debut of the recently launched Ion® Xe lighting desks and the soon-to-be released ColorSource® Cyc fixture. Also to be unveiled is the eagerly anticipated Cobalt® software version 8.0. Additionally, Source Four® turns 25 this year and ETC will be honouring the occasion on stand J30. 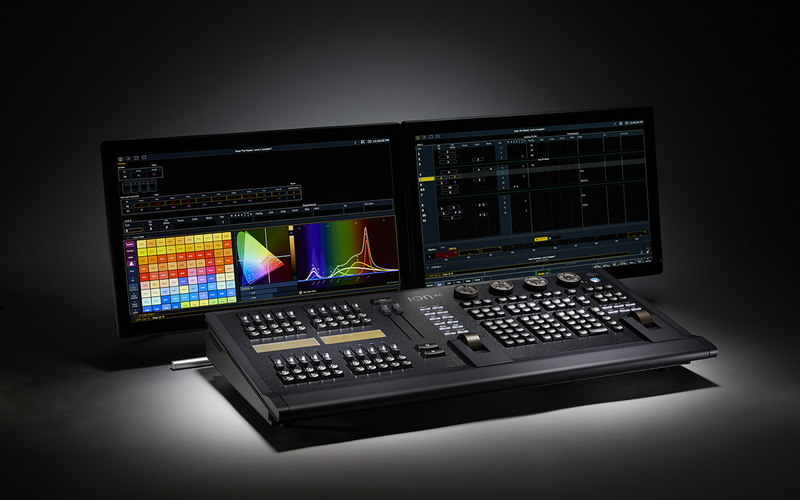 With compact footprints and full-featured Eos® software, the new Ion Xe and Ion Xe 20 consoles bring award-winning programming power to smaller venues. Since the new consoles feature the same backlit keyboard layout as their larger Eos family siblings, workflow can transfer seamlessly from desk to desk. Accompanying the consoles are the new Eos Fader Wings which provide 20 or 40 standard faders in handy, USB-connectable modules that match – and are compatible with – all the latest Eos family hardware. 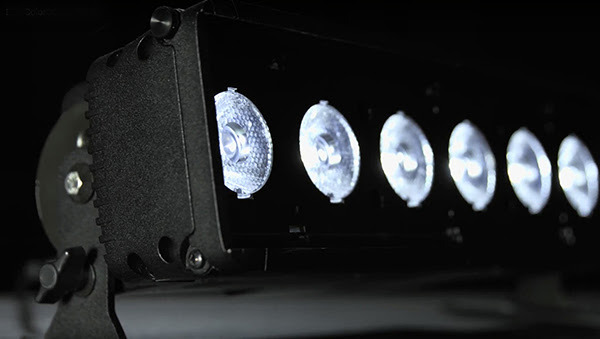 PLASA visitors can get a sneak preview of the upcoming ColorSource Cyc fixture. 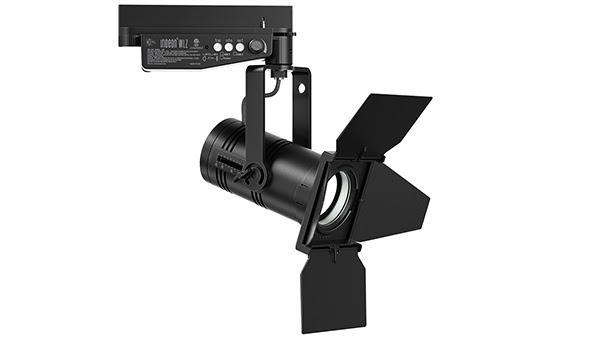 Slated for release later this year, this purpose-built cyclorama light is bright, compact and affordable. It’s also the first ColorSource fixture to add a fifth colour to its LED array, incorporating indigo with the RGB-L mix to achieve rich, theatrical hues. The Cyc will be joining fellow family members on stand J30, including ColorSource Spot and PAR fixtures, ColorSource AV control desk, and ColorSource Relay wireless power control solution. Engineered for lighting on-the-fly, the Cobalt line of control was designed to rid the lighting process of unnecessary keystrokes and complicated syntax. Debuting at PLASA, Cobalt software version 8.0 introduces several key features and improvements, including a new multi-console network structure; a redesigned graphic interface; a clone feature to copy show data from a single channel to other channels; and a completely new Magic Sheet engine, giving users quicker and more manageable control of their rig. ETC will be commemorating the 25th anniversary of the Source Four fixture. The product has played a significant role in the company’s history, has made an enduring impact on the industry, and almost 3.8 million Source Four fixtures have been shipped since its launch, which gives ETC plenty of reasons to celebrate. 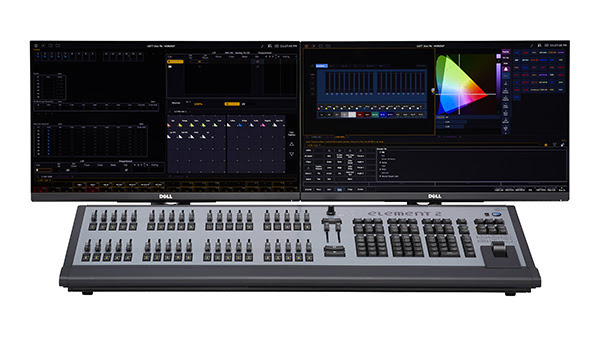 Available for demonstrations, there will be a Gio @5® lighting control desk, which brings the acclaimed control of the Eos Ti® and Gio® consoles within reach of users with smaller spaces and tighter budgets. There will also be opportunities to see Source Four LED Series 2 fixtures in action and to speak to the rigging specialists about the Prodigy® P2 hoist system and QuickTouch® rigging controllers. For more information on ETC and its products, visit etcconnect.com. For nearly a decade, ETC’s Ion® consoles have brought powerful control to theatres, concert venues, studios and events around the world. Now, with the release of two Ion Xe consoles and two new fader wings, the small but mighty workhorse of the Eos® family gets an upgrade. 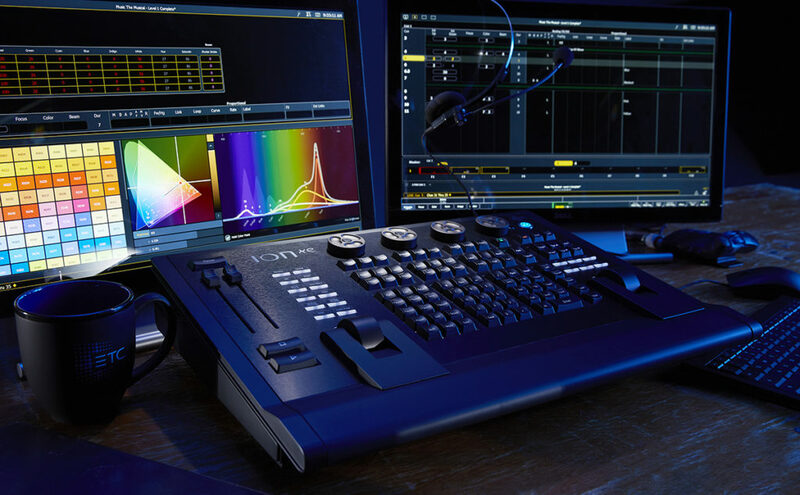 With compact footprints and full-featured Eos software, Ion Xe consoles bring high-level, award-winning programming power to smaller venues. Since the new consoles feature the same backlit keyboard layout as their larger Eos family siblings, your workflow can transfer seamlessly from desk to desk. Ion Xe desks support up to external two multi-touch monitors, so you can take full hands-on advantage of colour tools, Magic Sheets, Direct Selects and more. Ion Xe consoles feature full main playback controls, fader controls, level and rate wheels, four rotary parameter encoders and support for up to five USB-connectable wings and devices. Ion Xe consoles are available in two output counts: 2K (base) and 12K (expanded), providing control for a wide variety of rigs. For extra security and flexibility, ETC has also released a new Ion Xe RPU (Remote Processing Unit), which can serve as a backup, remote programming station, or primary controller for your system. The new Eos Fader Wing accessories provide 20 or 40 non-motorised faders in handy, USB-connectable modules that match – and are compatible with – all the latest Eos family hardware. The wings share the profile of the Ion Xe and Eos Motorized Fader Wings, and they can be used with all Eos family products (with the exception of Element). Fader wings make it easy to customise your Ion Xe to the specific needs of your show; you can connect up to three motorised or non-motorised fader wings to any Ion Xe desk. Want manual playbacks as a permanent feature of your work surface? The Ion Xe 20 model streamlines your control booth setup with a built-in bank of 20 page-able, non-motorised faders. If you have any questions, please contact us or your nearest ETC Dealer. ETC has announced the addition of the DALI Gateway – that accepts DMX input and outputs DALI protocol – into the company’s line of Response products. 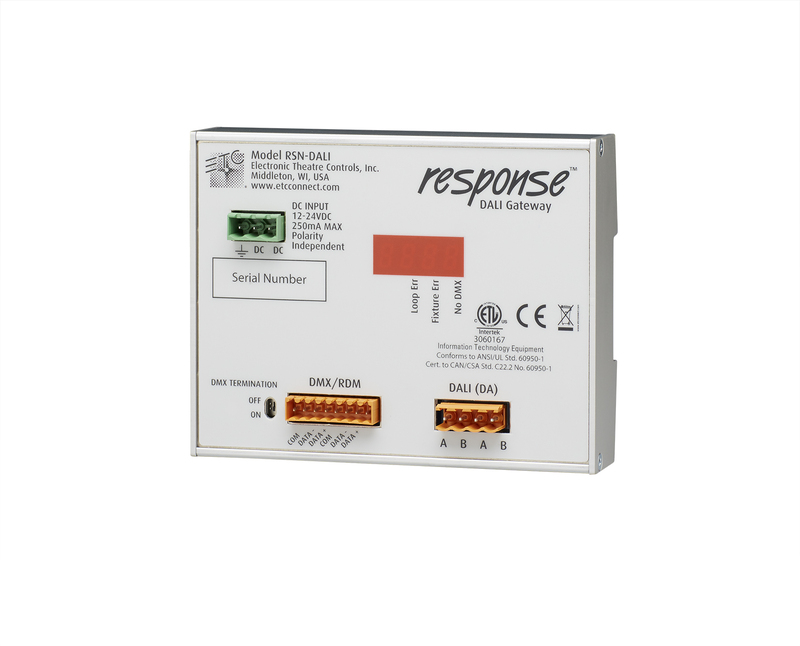 The DIN-rail-mountable Response DALI Gateway delivers a single loop of DALI control for up to 64 devices and 16 groups. ETC Networking and Architectural Controls Product Manager Lowell Olcott explains: “This product allows for the control of DALI devices to be added to all of ETC’s lighting systems, making the product a great option for retrofits and new installations alike.” Users have complete control over their entire system with a patchable output map, allowing for the assignment of individual DMX addresses to each DALI device. The Gateway supports auto-replace, allowing failed DALI devices to be replaced without the need for configuration tools. The DALI Gateway uses special calculations for individual, group, or broadcast DALI commands, to optimise fade performance and ensure dimming quality. For more info about the ETC DALI Gateway, please visit www.bit.ly/erdalig. 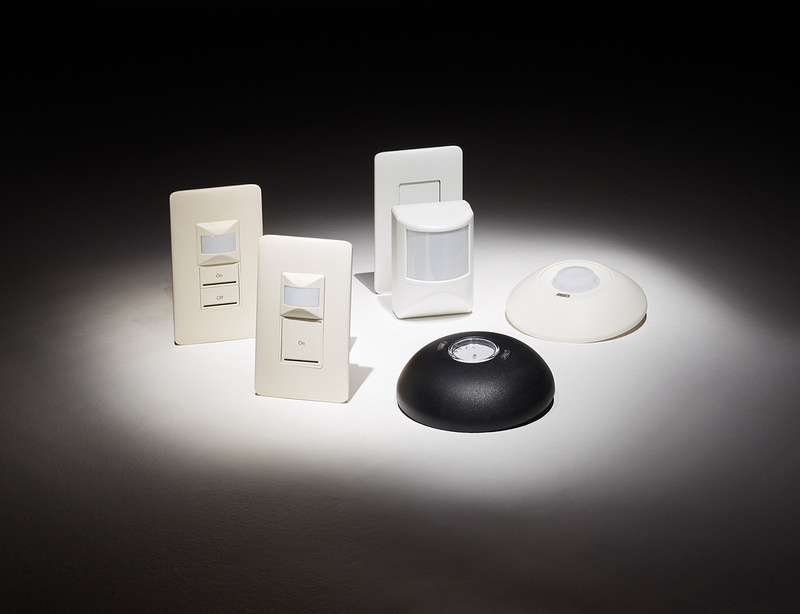 ETC has released two new additions to its Unison Echo® line of architectural lighting control. The new Dual Tech Sensors ensure spaces can adhere to stringent energy codes, while also ensuring occupant comfort. And two Contact Interface devices provide simple and seamless integration with other systems. For locations where no movement doesn’t mean a space is vacant, the new Dual Tech sensors offer a convenient and reliable way to make sure illumination is constant. Dual Tech sensors couple passive infrared (PIR) detection with acoustic detection and can support almost any room size or configuration. Available in wall, ceiling and switch mount configurations, with a range of finish options, the Echo Dual Tech sensors offer different models for Occupancy or Vacancy, meeting energy codes without the need for advanced configuration. The Dual Tech sensor features a walk test function to confirm coverage, supports small movement detection up to 45-feet, and includes coverage patterns for most applications. They are UL Listed and CE marked, and meet ASHRAE 90.1, IECC, and CA Title 24 codes. System integration is simple with the new Echo Contact Interfaces. Available in 4-input and 4-output versions, Contact Interfaces seamlessly join Echo systems to third-party, external control systems. The Echo Contact Input Interface (ECII) can receive wet or dry contacts and uses the closure to activate actions in your Echo control system. Anything from a basic toggle switch all the way up to an advanced enterprise A/V systems can trigger the Contact Input Interface. And with the EchoAccess® mobile app users can program the system for any Echo control action. The Echo Contact Output Interface (ECOI) supplies contact triggers to external systems. A contact output can be generated as part of any preset or zone control to automatically trigger an external system, including functions like powering on a projector or deploying shades. Additionally, the Echo Contact Output Interface can send a contact to third-party management programs, keeping enterprise-wide systems updated of the lighting system status. Both Echo Contact Interfaces connect your Echo system to larger installations, bringing custom actions and high-level integration to a budget-friendly system. The ColorSource® Relay system kick-started a new era of power control, bringing budget-friendly system infrastructure with data distribution to theatres, houses of worship, schools and community centres. Now the ColorSource Relay is upgrading its simple configuration and wireless performance with the addition of wireless RDM. The latest release of the Relay software – version 1.1.0 – is available to download and offers venues the ability to add wireless RDM to their ColorSource Relay system. RDM makes the convenient system even simpler to use, letting users identify and address their equipment wirelessly and then configure and monitor it, no matter where it’s placed in the rig. The Relay and ColorSource Transmitter have a 100-metre (328-foot) range and require minimal setup and no programming whatsoever. RDM is available in all ColorSource Relay units with an upgrade to software version 1.1.0. . In order to upgrade their units, users should contact ETC technical support. 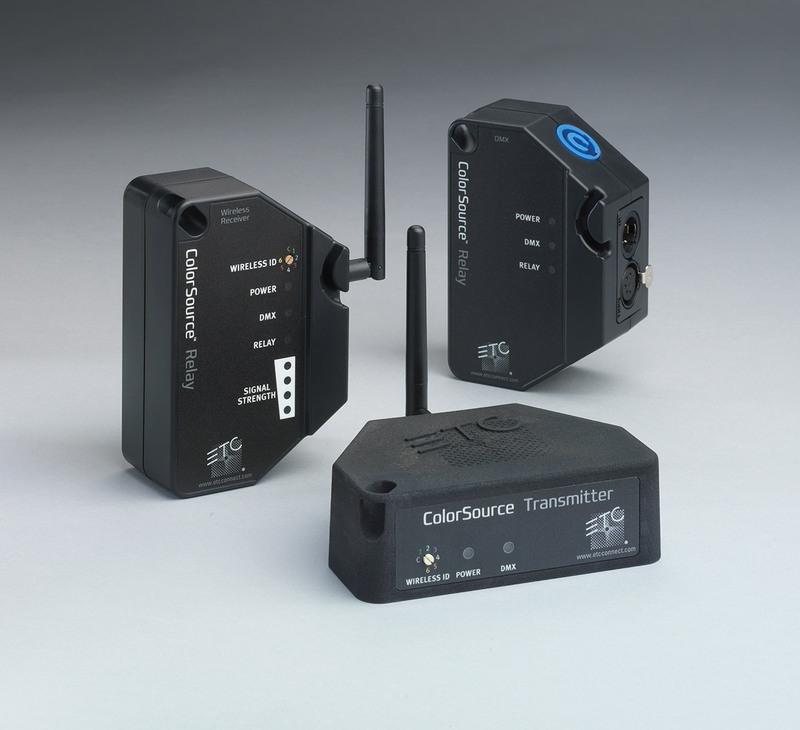 In addition to adding wireless RDM, the latest version of the ColorSource Relay software also includes upgrades for performance optimisation of wireless DMX. 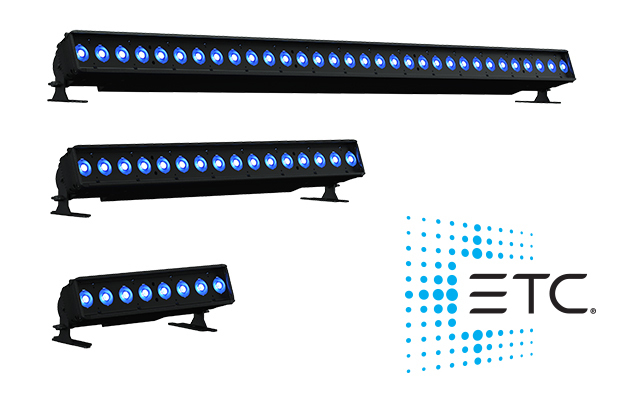 ETC has expanded its Unison Paradigm® line of architectural lighting controls, increasing lighting station options with the line of Inspire® control stations and making it easier to comply with stringent energy requirements with the new Dual Tech sensors. The powerful and elegant Inspire station, originally introduced in the Unison Echo® product line, is now a member of the Paradigm family with an updated design and the full feature set of the Paradigm control system. Stations come in a range of styles and button configurations, which allow them to be a perfect match for any installation. The Inspire stations can be easily programmed for preset lighting looks, zone control, space-combine functions or any other Paradigm control function. With one-, two-, four-, six-, and eight-button station options ­– as well as the four-button station with a fader coming late summer ­– the Inspire stations can be as tailored as the light itself. Laser marked button labels identify each button, and custom marked button caps are available to personalise any installation. The button caps are easily replaceable in the field if control needs change with ongoing use. Each button features a colour-controllable LED backlight that offers a quick visual indicator of function and button state. And when it’s time to set looks, the Inspire fader station offers basic intensity control as well as intuitive colour control for hue, saturation, and intensity for colour mixing luminaires. Contractors will appreciate the thought that went into making installation a snap. The stations are standard sizes and can easily be ganged together to fit into any control location required. 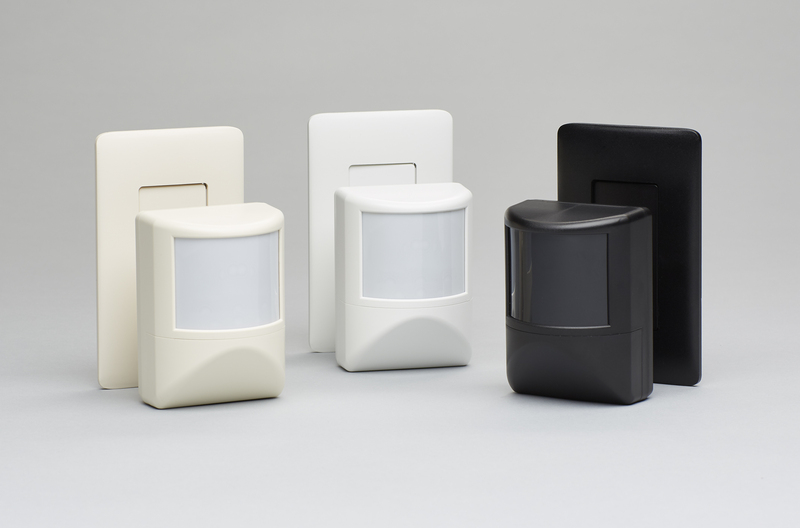 Stations and faceplates are available in cream, grey, black, and white, ensuring a visual fit in any setting. Behind the scenes the stations use the LinkConnect two-wire, topology-free system to give installers the freedom to put stations where needed without worrying about wiring. “They’ve been incredibly popular as the face of the Echo control line and now we are very excited to offer them as an additional control station option for our Paradigm line,” said Bryan Palmer, architectural market manager for ETC. The Paradigm Inspire button stations will be available at the end of April, with the four-button fader station available in early summer. Spaces of any size are supported by the new Dual Tech sensors, with multiple mounting options including ceiling-, wall-, and switch-mounted configurations. More installation customisations include the option to program either Occupancy or Vacancy mode during commissioning, multiple coverage options – with a walk test function to confirm coverage – and multiple finish options. Dual Tech Sensors meet ASHRAE 90.1, IECC, and CA Title 24 codes, keeping occupants comfortable while complying with current energy regulations. They are also UL listed and CE marked.